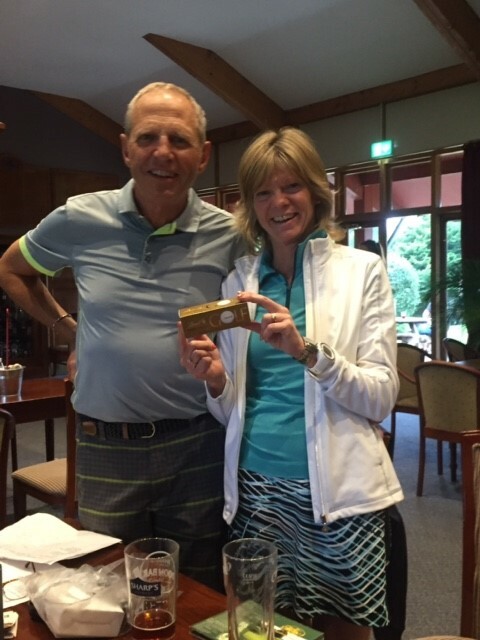 There are days that are made for golf and the LSSC’s first visit to Orchardleigh Golf Club in Frome for its annual Open Competition was held on such a day: sun, blue sky and a cooling breeze but not so hot that you wished you were at the beach. A total of nine golfers, all ardent LSSC members, contested the trophy. Alas last year’s winner, Finn Quinn could not play, having moved from student to employee! No one had played this beautiful course before; our regular course, Frome Golf Club, having been given over to pigs and no longer available. 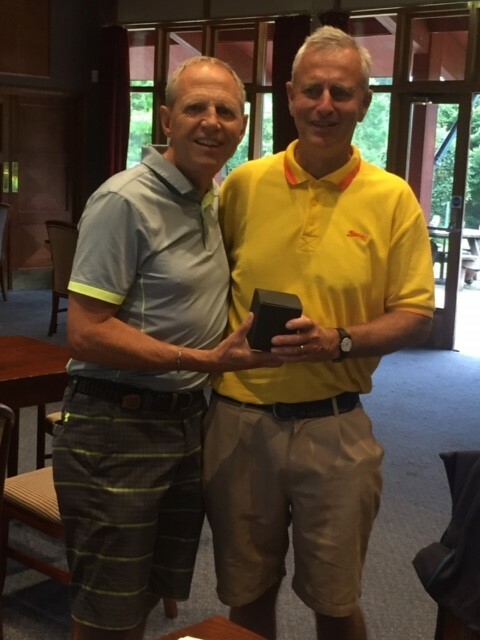 That did not stop some excellent scoring and LSSC own resident professional, Peter ‘Rat’ Rattue, winning with 35 Stapleford points, despite having a handicap of just 8! And he also scooped the longest drive prize for a huge effort that stuck to the fairway. Second place Tom Henson collects an engraved glass. Second and third places were tied between Sheena Quinn and Tom ’Trigger’ Henson, who both scored 30 points. But our resident cab driver won by a stroke on count-back. The happy couple: Well, not really, Sheena Quinn, despite her smile, is disappointed at coming third on count-back, from husband John. In the clubhouse afterwards it was agreed, over a pint or two of local ale, that everyone had a top day and that the LSSC members had been very well looked after by the staff at Orchardleigh and a return next year would be keenly looked forward to.